The VDP – Verband der Praedikatsweingueter – is the prestigious association of about 200 elite wine producers in Germany. The VDP is in the process of implementing a new wine classification that is radically different from the traditional German wine classification. Not only the VDP producers are adjusting to the new classification approach, there are many other wine producers in Germany who are adopting the VDP approach, many of those aspiring to be also ultimately accepted in the noble VDP Club. While there is a large group of ambitious German winemaker who want to join the VDP, rarely a member voluntarily leaves the VDP. Now, one of the stars of German winemaking – Martin Tesch, Weingut Tesch in the Nahe Valley - decided to quit the prestigious association. The official press release of the VDP only said that the objectives of the VDP and those of Weingut Tesch have diverted too much over time so that it is better for both sides to call it quit. One can only speculate, what the reasons are, but perhaps Martin Tesch did not want to go along with the new VDP classification that he found for his special circumstances too constraining. Here is what others had to say: Stephan Reinhardt, Der Feinschmecker: Looking back into history: Dr. Martin Tesch from Nahe Weingut Tesch has left the VDP as he told us in a tasting last Sunday night at his winery in Langenlonsheim. For more than 10 years Martin is doing his own thing: Liter wines, Riesling Unplugged, five single vyd Rieslings; all of them trocken, straight, screwed, very good if not excellent and reasonably priced. However, none of them is designated as Grosses Gewächs. Martin keeps things short and simple rather than complicated. He has done the right step. Good luck, Martin Tesch! Thorsten Kogge, Wine Blogger: If you have a clear vision and a reputation for quality production, you can do without any kind of umbrella organization. I also find his step noteworthy and wish him all the best for the future. Plans sound interesting. The VDP is the oldest association of wine estates in the world. In fact, it is the only one of its kind worldwide. No other country has a national organization of the top wine makers of the entire country. Throughout the past century, the quality-driven goals and strict standards of the VDP have played no small part in shaping the viticultural and winemaking practices in Germany. With their stringent statutes and their establishment of a German vineyard classification, the about 200 members of the VDP have served as role models and justifiably can be viewed as the vanguard of the nation’s producers of top-quality wines. Dr. Martin Tesch owns and runs Weingut Tesch in the Nahe Valley. The Weingut has been family-owned and run since 1723. In his mid-thirties, Martin Tesch is a Ph.D. microbiologist by training. He took over Weingut Tesch in 1996 and has presided over fundamental changes both in the vineyard and the wine cellar as well as in the marketing of the Tesch wines. With the 2010 vintage, the Riesling Unplugged, the signature wine of Martin Tesch, Weingut Tesch in Langenlonsheim (Nahe) in Germany, celebrated its 10th anniversary. At this occasion, Martin produced the audio book Riesling People Vol. 2. It is a medley of diverse contributions of a group of friends of Martin Tesch - sommeliers, customers, journalists, writers, chefs and musicians. The sommeliers Natalie Lumpp, Jürgen Fendt, Billy Wagner and others comment on Riesling Unplugged of each of the 10 vintages; Stuart Pigott talks about hunting sharks on the Nahe river. 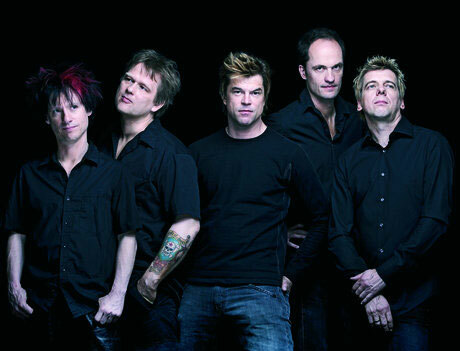 The Rock and Roll Band Die Toten Hosen – Martin Tesch produced the wine Weisses Rauschen with them (see below) – contributed a song to the Riesling People Vol. 2, as did Koester + Hocker and the Group Les Sauvignons. All in all, a highly entertaining and informative audio book about Martin Tesch’s Riesling Unplugged. German wine journalist Stuart Pigott crowned Martin Tesch Winemaker of the Year 2012. Stuart Pigott in the FAZ: “Typically, the "Winemaker of the Year" is a winemaker who has received the maximum points and awards for his or her wines, a kind of a winner-hero who is theoretically superior to all colleagues. Rarely the question of the role of the winemaker comes up. Martin Tesch from the same winery in the Nahe Langenlonsheim has been doing just that for more than a decade. His answer is based on the principle that a winemaker has to stand for a certain type of wine, if he wants to succeed in the market and in the public. Indeed, Martin Tesch succeeded, though in the beginning, when he decided to go for bone dry Riesling (instead of a softer and / or sweeter alternative), he suffered quite a bit, with sales dropping sharply. But after the initial down turn, sales recovered and Martin Tesch became increasingly successful. The most important expression of its minimalist approach to winemaking of doing in the cellar as little as possible, but as much as necessary, which represented a radical reinterpretation of German winemaking culture, is the spicy-fresh 2011er Riesling "Unplugged" (8 Euros ex winery). The name reflects Tesch’s deep interest in and knowledge of rock music. Already in 2009, he toured with his "Rolling Riesling Show" Germany, a successful combination of his Rieslings and rock concerts. He has gradually redefined the role of the winemaker”.